I am super excited to see this movie. This will be Buggy’s first movie and I can’t wait to see her jumping around and dancing. Kenn Viselman, the creator of The Oogieloves in the BIG Balloon Adventure (due out “Oogust” 29th) believes in the The Power of Mom. So much so he and his team have been traveling around the country engaging bloggers in conversations about what constitutes quality G-rated entertainment. Other than a few wildlife documentaries and a re-release in a popular children’s movie in 3-D, Hollywood has completely ignored the youngest moviegoer. The best they give us for our kids – animated PG films – are loaded with aggression and bloodshed. Moms listen up: You have the power to change what Hollywood pushes on your children. In fact, there is no voice more powerful than yours. You control the home, the family budget and your child’s welfare. Aren’t you tired of watching moms die in the first ten minutes of so many animated movies? Aren’t you tired of seeing your children confused by the aggression towards their beloved movie characters? There’s no place for such violence in a children’s movie. Enough is enough. It’s this “enough is enough” attitude that got Kenn Viselman, the marketing genius who introduced us to Teletubbies, Thomas the Tank Engine, Noddy and Eloise, mad as h*ll. 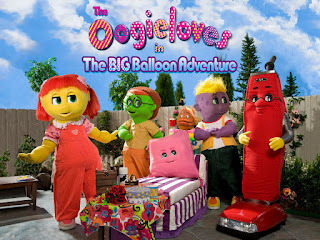 The end result: The Oogieloves in the BIG Balloon Adventure, a film that reinvents the movie-going experience. This film – basically a movie and a live show rolled into one - is the first-of-its-kind interactive family musical that encourages the audience to get out of their seats, dance, and sing. Visual and auditory cues invite the audience to “move” the action along, allowing parents and kids to interact not only with the characters, but also with one another. The story follows the Oogieloves - Goobie, Zoozie and Toofie - as they prepare for a surprise birthday party for their friend, Schluufy. 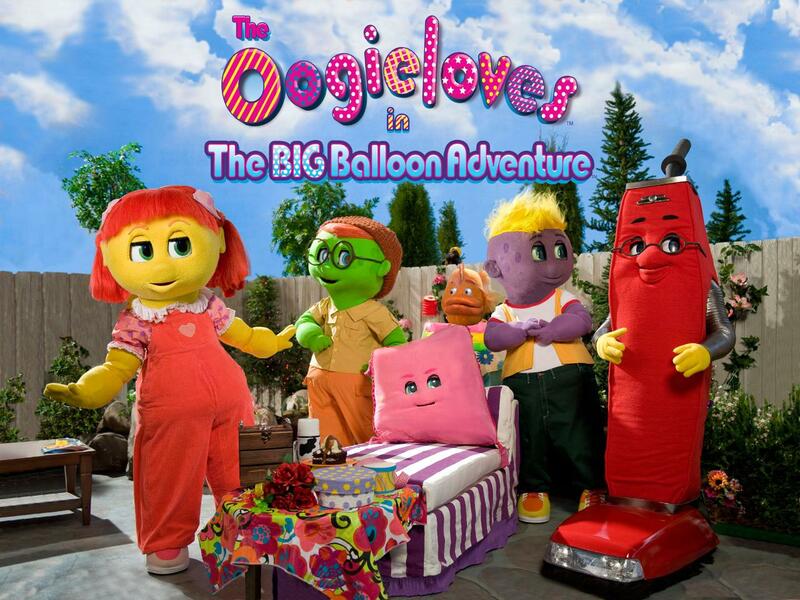 When their guardian, J. Edgar, loses the last five magical balloons in all of Lovelyloveville, the Oogieloves take action. Along the way, they meet Rosalie Rosebud (Toni Braxton), Dottie Rounder (Cloris Leachman), Lola and Lero Sombrero (Jaime Pressly and Christopher Lloyd), Milky Marvin (Chazz Palminteri), and Bobby Wobbly (Cary Elwes). The movie opens in theaters “Oogust” 29th. 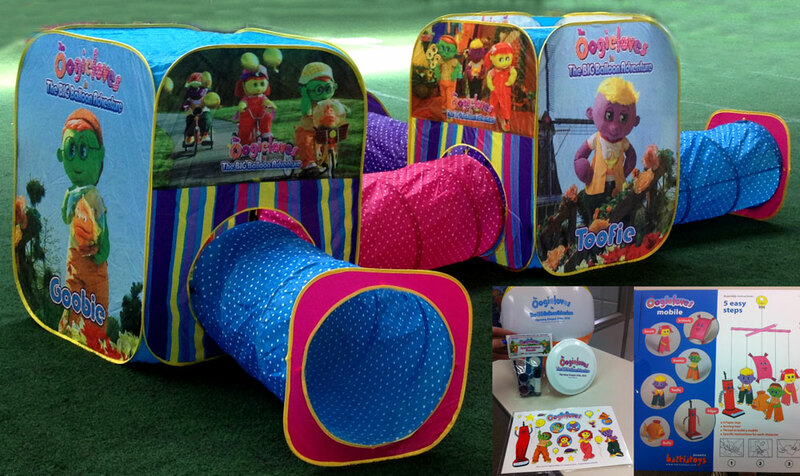 And now for the giveaway: One lucky reader is going to win (1) Oogieloves kids prize pack worth $150. I think my daughter will like the movie! Yes for sure! My kids love to dance and sing , they will have a great time! I think kids are going to LOVE this Movie!!!! My boys would love it. yes, my kids would like it! Yes, I think she'd like it. She loves to sing and dance. My youngest is begging to go see this movie. I think Carter would LOVE this! He loves the characters like this...loves Elmo and Sesame Street and Sid The Science Kid...so I think this would be perfect for him! I also love that its silly...and the singing and dancing so we can interact with them while watching. sounds so neat! My youngest will love it! I know the kids will love it! I know they will love it!